The Illuminati is the most secretive organization in the world. Everyone has heard of them once or twice in their lives, but no one has ever provided any solid proof that could reveal the true colors of this evil organization. We’d like to tell you that we have those solid proofs, but we don’t yet. However, what we have is an awful lot of facts that will mess with your head for a while. We won’t lie, these facts may make you a little paranoid about how things work on Earth. If you don’t want to take my word for granted, read what former U.S. President Woodrow Wilson said about the Illuminati. This quote sets the perfect mood and hits right into the bull’s eye. Let’s be honest here. At first, we’re all skeptical about secret organizations like the Illuminati, but the more information we read, the scarier it gets. After all, what if the Illuminati actually exists and has every one of us on a string? We don’t like this idea. Anyway, let’s enter the dark side together. We don’t even know where we should begin. Basically, take a look at any popular music video of any celebrity, and you’ll see that it’s propaganda of the Illuminati. 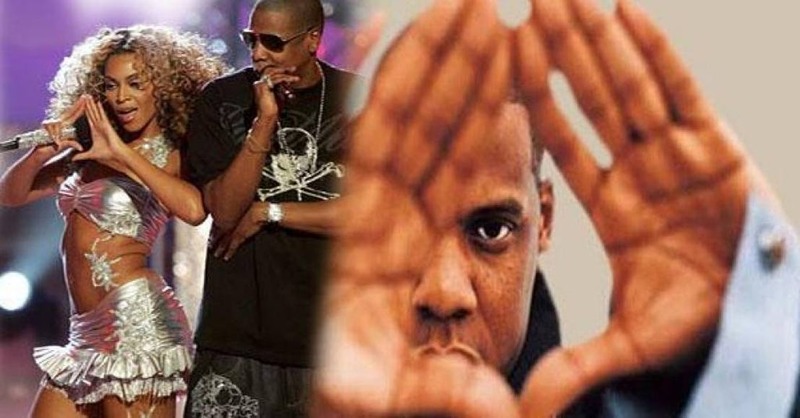 Some of the most popular celebrities known for their relation with the Illuminati are Beyonce, Jay-Z, Justin Bieber, Lady Gaga, Eminem, Ke$ha, and Rihanna. However, there are an awful lot more celebrities who belong to the circle. Just take your time to watch music videos of songs, such as Umbrella, Haunted, or Scream and Shout, to find out what we’re talking about. On top of that, conspiracy theorists blame celebrities for making live performances, soaked with the Illuminati’s propaganda. The best example of that would be Madonna’s Super Bowl halftime performance in 2012. To be completely honest, we believe that sometimes those symbols just look cool to celebrities and they use it to attract people. We just find it hard to imagine that Ke$ha could be behind the most influential secret organization in the world. But then again, who knows?